A major pharmaceutical company engaged CMK Select to create a streamlined process for submitting, processing and approving monthly expense reports generated from their sales team’s lunch-and-learn meetings with healthcare professionals. With a field sales force of more than 800 representatives, the existing system was inefficient and ultimately led to major compliance violations and late fees. A major pharmaceutical company engaged CMK Select to create a streamlined process for submitting, processing and approving monthly expense reports generated from their sales team’s lunch-and-learn meetings with healthcare professionals. 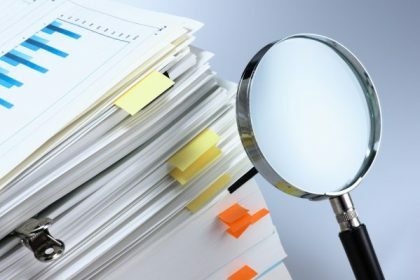 With a field sales force of more than 800 representatives, the existing system was inefficient and ultimately led to major compliance violations and late fees. Each district manager was responsible for reviewing an average of 50 to 80 detailed expense reports each month – checking them for completeness, accuracy and compliance – and it all had to be completed within a strict timeframe to avoid financial penalties. By starting with a detailed audit, CMK Select carefully examined each phase of the existing process and successfully identified the problem areas that led to the timing and costly compliance issues. CMK then developed a more streamlined process that included the assembly of a team of coordinators to act as a liaison between the client’s sales reps and their managers. These coordinators took a granular approach to reviewing each expense report and communicated back and forth with the sales reps to identify any areas that were incomplete, noncompliant or needed revisions. Once a coordinator signed off on a report, it was then sent to the district manager to review and ultimately approve. Because all reports were fully vetted before reaching a manager’s desk, the review and approval process became significantly quicker. The new process led to drastic time savings for both the sales representatives and the district managers, and that increase in efficiency has led to improvements and growth in multiple areas. First, as the company had hoped, their sales reps are incurring far fewer late fees because their expense reports are being filed on time. Even more importantly, compliance issues have dropped drastically because ample time has been built into the new system to ensure accuracy and completeness. The time and cost savings have allowed each rep to accommodate an additional three lunch-and-learns per week – or 12 per month – which has resulted in an even greater marketing push and increased sales for the client.